United Yacht Sales New Jersey would love to guide you through a personal showing of this 55' Beneteau Sense 55 2016. 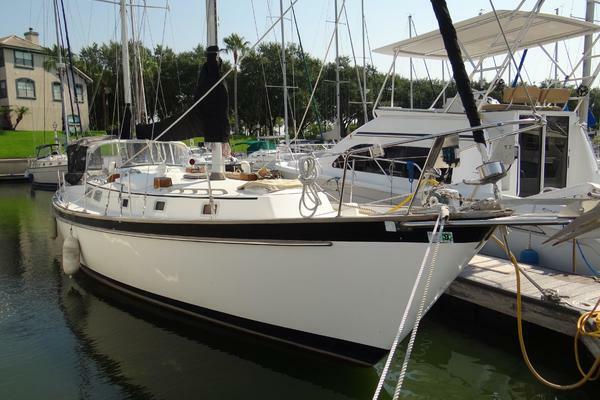 This yacht for sale is located in St. Petersburg, Florida and priced at $459,000. For a showing please contact us by filling out the form on this page and we will get back to you shortly! The innovative concept of this range of cruisers is fully expressed in the Sense 55. Built on a one-level floor plan, the day and night living spaces are distinctly separate and the cabins resemble bedrooms. Spacious is an understatement and outdoor luxury has been revamped. Low on the water, the hull offers minimal heel, easy maneuverability and perfect balance under sail. These elements, combined, offer exceptional cruising comfort at surprising sailing speeds. Flooded with light, the Sense 55 interiors are directly inspired by the world of Super Yachts. Wherever you look, your eyes are drawn to the sea and horizon. The salon is gently raised to connect the interior and exterior spaces. Your choice of fabric and woodwork allows for a unique and personal atmosphere. The Sense 55 strives beyond just being safe and seaworthy. The interior and exterior are attractively designed providing ample room and a delightful new lifestyle at sea.